Human rights activists often act so as to facilitate terrorists. Several, but not all one-sided so-called Human Rights movements and supporters are becoming an increasing hindrance to the functioning of governments. Where Israel is concerned, much of this has been documented in detail by NGO Monitor over the past years. Yet in several Western countries, both governmental and public voices are being raised more frequently against those who indirectly facilitate the interests of terrorists and movements involved in asymmetric warfare. Two recent developments serve to illustrate this trend. British Defense Secretary Michael Fallon announced that the UK government is drawing up plans to take Britain out of the European Convention on Human Rights. He explained that this was due to the over 2000 separate legal cases to date, which have been brought against the Ministry of Defense concerning actions of British forces in Iraq and Afghanistan. Fallon remarked that such cases inhibited the operational effectiveness of British soldiers, weakening their fight against terrorists through fear of being dragged through the courts by human rights lawyers. Fallon also mentioned heavy costs to the government and thus the taxpayer: approximately 150 million pounds for inquiries and compensation, including cases filed from 2004 and amounts earmarked for new claims. The government is now working on a new national Bill of Rights to replace the European Convention. A public investigation known as the Al-Sweady inquiry was launched in 2009 by the then Labour Government. It examined accusations that Iraqi civilians were killed and tortured by British soldiers in 2004. The investigation cost 31 million pounds sterling and found that the most severe allegations against the Army were deliberate fabrications. Fallon’s statements shed light, by extension, on another issue – the attempts of several British lawyers to have certain prominent Israeli political and military decision-makers arrested on their arrival in the UK. It is now clear that these moves were just the tip of a large legal iceberg which threatens the United Kingdom. In France, the socialist government intends to bring a proposal to change the Constitution. If accepted, it will be possible to strip convicted terrorists of their French nationality if they are also nationals of another country. A poll showed that 85% of the French people support the change. Many European socialists have given their indirect support to terrorism against Israel, claiming falsely that they are merely fighting for human rights. Such people may even take terrorists under their wing, claiming solidarity with the weak. This time their indirect pro-terror stance is oriented toward France itself. It was expressed by several senior members of the socialist party in their criticism of the proposed change in the Constitution. The left-wing daily Le Monde also joined the fray, and came out against the proposal. Prime Minister Manuel Valls reacted saying: “Part of the left goes astray in the name of great values, forgetting the context, our state of war…” Many European socialists also seem to follow a post-war trend which shows more interest in protecting perpetrators rather than victims. Yet the French government’s proposal is far from unique. Le Monde has published an overview indicating several Western countries which, under certain circumstances, will strip nationality from dual nationals. Craig Forcese, a Canadian academic, claims that twenty-two countries in Europe permit denaturalization for terrorism or other behavior contrary to the national interest. Israel is faced with extreme attacks by both foreign and home-grown human rights activists. Many of these look away from the genocidal intentions and extreme crimes committed by Palestinians. As such, their policies could better be described as humanitarian racism, a form of racism which is rarely recognized as such. One can define it as the attribution of reduced responsibility to people of certain ethnic or national groups for their criminal behavior and intentions, even if these are of major dimensions. Humanitarian racists judge delinquency and crime differently according to the color and socioeconomic status of those who engage in them. For example, white people are held to higher standards of responsibility than people of color. Israel is frequently blamed for any measures it takes to defend its citizens. Palestinian responsibility for suicide bombings, rocket attacks, promoting genocide, glorifying murderers of Israeli civilians, and massive incitement, including that similar to Nazi-type hatred, is often downplayed if not ignored altogether by humanitarian racists. One of the most recent cases of a major distortion of Palestinian terrorism by a human rights body involved Doctors without Borders, which presented a photo-exhibition glorifying Palestinian terrorists in a building belonging to the Paris Municipality. CRIF, the umbrella organization of French Jewry protested against the exhibition and asked the municipality, in vain, to withhold its facilities for the event. One might recall one of the most discriminatory legal cases in Europe against Israel, the acceptance by the Belgian court of Appeals of a lawsuit brought against Prime Minister Sharon. This was done despite the opposition of the country’s Public Prosecutor, whose opinions on such matters are usually accepted. Ultimately the case collapsed when a complaint was also brought against President George Bush and associates concerning the first Gulf War in Iraq. In response, the American government informed the Belgians that if the case went ahead, the headquarters of NATO would be relocated away from Brussels. Belgian law was thereupon changed. Against the general background of the many questionable activities of bodies seemingly dedicated to human rights, the Israeli government’s proposal to impose stricter transparency regulations on Israeli NGOs funded by foreign governments is timely. This move comes at the right moment, as this year the Simon Wiesenthal Center has finally exposed the European Union in its list of major anti-Semitic slurs. This has been done in view of the EU’s highly discriminatory labeling of Israeli projects beyond the green line. This labeling requirement is a typical example of extreme double standards – characteristic of anti-Semitic acts -- with which the EU undermines its own democracy. The EU ambassador to Israel Lars Faaborg-Andersen was quoted as saying that the NGO bill “will have a negative impact on the image of Israel and its standing in Europe as an open and democratic society.” Israel might remind him that even extreme crimes in Europe, such as the killing of an estimated 300 Algerians in Paris by the local police in 1961, have not had a negative impact on France’s image. And if Israel’s bill will have a negative impact on its image in Europe, that will be partly due to the ongoing incitement against it by the EU itself. Israeli measures to force more transparency on NGOs financed by foreign governments are merely an isolated step. Ideally such measures should be part of an effective coordinated comprehensive strategy to fight anti-Israeli propaganda worldwide. Imogen Calderwood, “Suspend the human rights act so British troops can fight terrorists without fear of ambulance chasing lawyers, says defense secretary,” The Daily Mail, 27 December 2015. Cahal Milmo, “Al-Sweady inquiry: ‘Deliberate lies’ - the verdict on claims that British soldiers tortured Iraqi detainees’,” The Independent, 17 December 2014. “85 % des Français seraient favorables à la déchéance de nationalité,” Le Monde, 30 December 2015. “Le PS se déchire sur la déchéance de nationalité,” Le Monde, 27 December 2015. “La déchéance de nationalité s’étend en Europe et dans le monde,” Le Monde, 30 December 2015. Craig Forcese, “A Tale of Two Citizenships: Citizenship Revocation for 'Traitors and Terrorists',” Queen's Law Journal, Vol. 39, No. 2, 2014. “Paris photo exhibit glorifies Palestinian terrorism, Jewish group says,” The Jewish Telegraphic Agency, 28 December 2015. 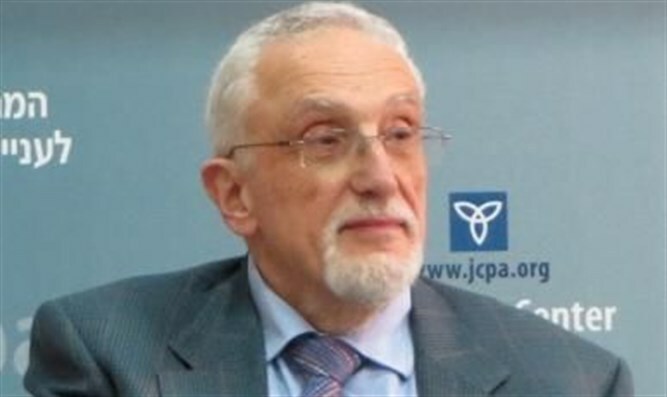 Manfred Gerstenfeld, interview with Irit Kohn, “The Suit against Sharon in Belgium: a Case Analysis,” in European-Israeli Relations: Between Confusion and Change, Jerusalem Center for Public Affairs and the Adenauer Foundation. Jerusalem, 2006. 211-218. Sam Sokol, “Wiesenthal Center ranks top 10 worst outbreaks of anti-Semitism in 2015,” Jerusalem Post, 29 December 2015. Gil Hoffman, Herb Keinon and Lahav Harkov, “As NGO bill nears approval, Europe warns Israel against curtailing free speech,” Jerusalem Post, 27 December 2015. Fiachra Gibbons, “François Hollande tells the truth – it hurts less than lies,” The Guardian, 19 October 2012.